Another post containing updates on happenings around the weekend homestead. 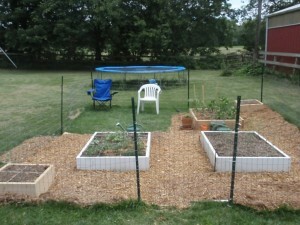 The fence will keep chickens out and provide a trellis for pickling cucumbers. I finally have all the garden beds planted. 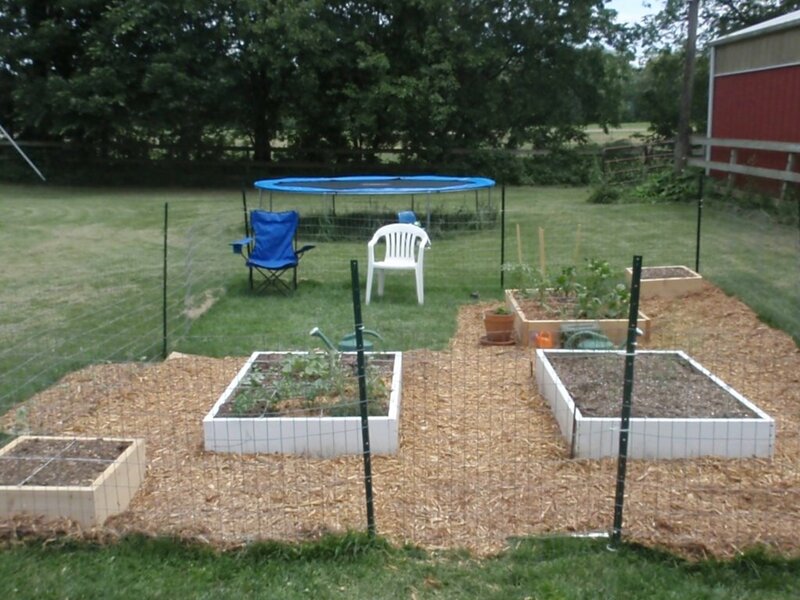 To date I have converted one square foot garden bed into a perennial asparagus bed, planted one with mostly tomatoes and bell peppers, and planted another with herbs, bush beans and cucumbers. There are some Mongolian Giant Sunflowers growing along side the fence. In addition there are two 2×2 foot beds at the corners of the garden. The main crop for these is pickling cucumbers that will grow on the garden fence. 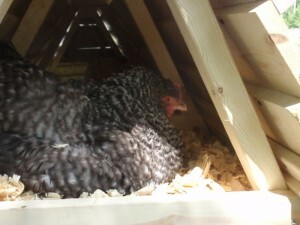 The broody Cuckoo Marans hen has been moved to the Catawba Coop. I have completed the Catawba Coop project. You can read about part one and two. This allowed me to move the broody Cuckoo Marans hen into the chicken ark. The baby chicks should be hatching in the next week or so. Be on the look out for part three in the series on building the Catawba Coop. The honey bees are busy gathering nectar and turning it into honey. 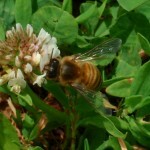 You can view an album of them working white clover. I’ll be checking on the hives soon to see if more honey supers need to be added. The over wintered hives already have supers. I’ll have to check the progress of the packages I installed this year as well as the swarm.